A dependable used car like a Honda offers you the kind of performance you can count on in a vehicle that's a little more affordable. When you're looking for a used car dealer near Glendale, Peoria, and Sun City, head over to Arrowhead Honda. We have a large selection of both used and certified pre-owned vehicles. Our used car inventory offers lots of variety so that every driver will find something that matches what they're looking for. If you're searching for a dependable SUV, check out the versatile Honda CR-V. It's a fuel-efficient SUV with lots of space inside for passengers to get comfortable and load plenty of cargo. Families who need even more space can take a seat inside the spacious Honda Odyssey. This minivan has room for up to eight passengers and offers lots of great safety and entertainment features. Drivers who are more interested in a sedan can enjoy the agile handling and efficient performance offered in the Honda Civic. This balanced compact sedan delivers a smooth yet sporty ride and gets great fuel economy. For a little more space and more power, hop into the classic Honda Accord. This iconic midsize sedan is roomy and comfortable and keeps you safe with lots of driver assistance features. You can even find durable trucks on our lot like the Honda Ridgeline. It's designed to help you carry a heavy payload and get through any conditions. Once you've found the used or certified pre-owned car that you want to buy, you'll meet with one of the experts in our finance center. They'll review the financing process for you, answer all your questions, and discuss your options. The team at our used car dealer near you is committed to helping you get the keys to the car you want. It's why we work with customers with all kinds of credit scores and why we partner with a network of local banks and lenders. Together, we'll negotiate financing options that work for you. If you already know which used or certified pre-owned vehicle you want to buy, you can get started by applying for financing online. Getting routine maintenance is the best way to keep your vehicle in good shape. To help you stay on top of all your regular oil changes, tire rotations, and inspections, our used car dealer offers a convenient service center. They're highly trained in maintenance and more serious jobs like engine and transmission service, as well as collision repairs. We also have a large inventory of OEM and genuine Honda parts. By installing parts and accessories that were made just for your vehicle, you'll get better, more reliable performance out of them. If you've noticed any issues with your used car, or you're due for a maintenance appointment or inspection, schedule service with us online. 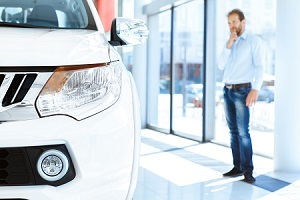 Visit Arrowhead Honda to test drive a reliable used car, truck, minivan, or SUV. We pride ourselves on being able to provide you with an impressive selection of vehicles and quality service from a used car dealer near Phoenix, West Valley, and Surprise.